Will The Next Great Saratoga Cocktail Be Siro’s Ginger Mint Mojito? The post-races haunt gets earnest with its Hemingway hat-tip. Find out how to make one. 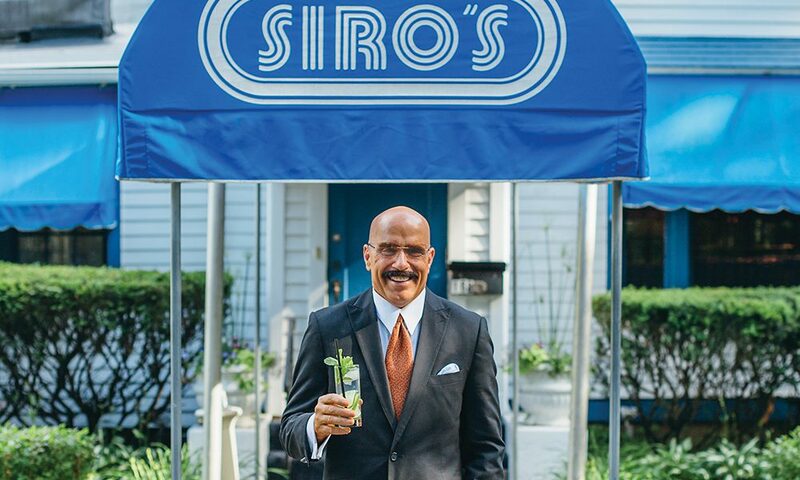 In saratoga living‘s “The Races!” Issue, post-races mainstay, Siro’s, offered up what they believe is the “Next Great Saratoga Cocktail.” Thirty-year-veteran General Manager and Maître d’ Michael Stone, stepping in for the restaurant/bar’s normal mixologist, offered up Siro’s Ginger Mint Mojito. Here’s how to make it. The delicious rum-based concoction, the Mojito, was first served in Havana, Cuba’s picturesque capital city. The cocktail was also said to be author Ernest Hemingway’s favorite drink. With racehorses and, I suspect, more than a few saloons named after him, it seemed to me an appropriate inspiration for a feature cocktail at Siro’s. I chose the Ginger Mint Mojito not only because it’s a perfect summer refreshment, but also, specifically, because of the crispness the freshly muddled ginger adds to the summertime drink. Whether you took a beating at the track or are celebrating a big score, this libation will be a welcome prelude to dinner or just a great way to beat the heat of a Saratoga summer. Muddle the fresh mint and ginger in a clear Collins glass. Combine the Bacardi Superior Rum, club soda, fresh lime juice, granulated sugar in a shaker with ice. Shake and pour into the glass. Garnish with a fresh lime. *Michael’s been the General Manager and Maître d’ at Siro’s for 30 years and says he’s just filling in for their regular bartender.